The Christmas tree is up in our family room. It is not decorated yet but it will be as soon as I get the lights tested and up. My favorite part of decorating the tree is all of the memories attached to the ornaments from years past. There are quite a number of them since we have had trees for almost 29 years together! There are so many fun handmade Christmas ornaments that can be made to put on your tree or to give as gifts! Some of the great ideas can also be used to organize a swap or make them as a group! 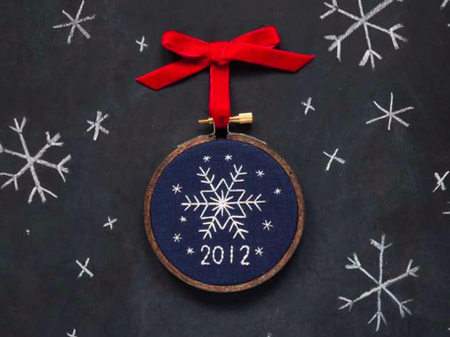 Add to your family tree memories by making some of these wonderful ornaments! Wild Olive always has the best ideas and this one is no exception! I am so in love with this sweet llama! 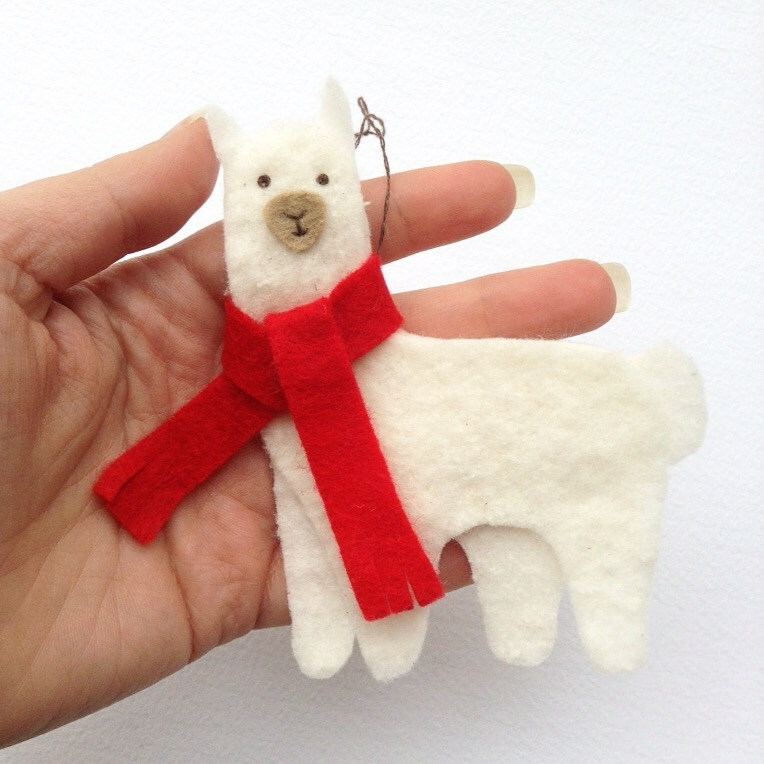 You can make one or a whole herd by visiting HERE for the pattern! 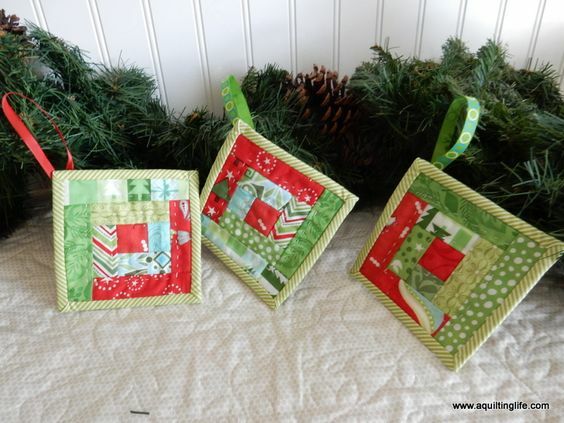 Log Cabin blocks are my favorite! Sherri from A Quilting Life used them for her tutorial on how to make them into a sweet ornament! 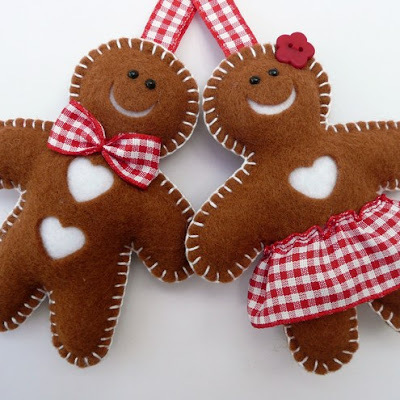 These gingerbread gentlemen and ladies are really adorable! Add a cinnamon stick or some cloves inside to make them smell lovely too! You can find the tutorial for these cuties by visiting How To Do It! Oh Christmas Tree! This pattern is available free in both English and Spanish on Ravelry! This Origami Star is perfect for scrap busting! Tea Rose Home made this wonderful tutorial for U Create and can be found HERE. 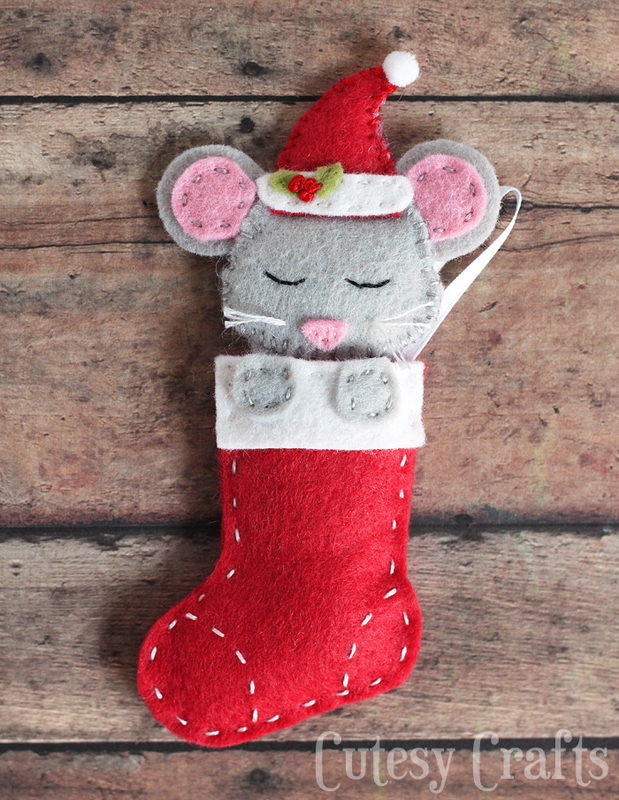 For knitters, these precious mice would make anyone happy! 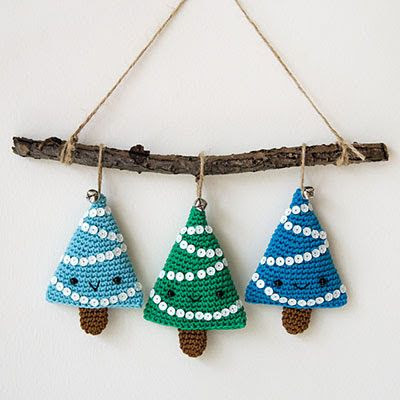 You an find this free pattern by Rachel Borello Carroll here. Elegant black felt and white stitching was inspired by a gift bag! For this two part tutorial by Jo, please visit HERE. Cutesy Crafts has this darling mouse in a stocking pattern and tutorial available for free here. 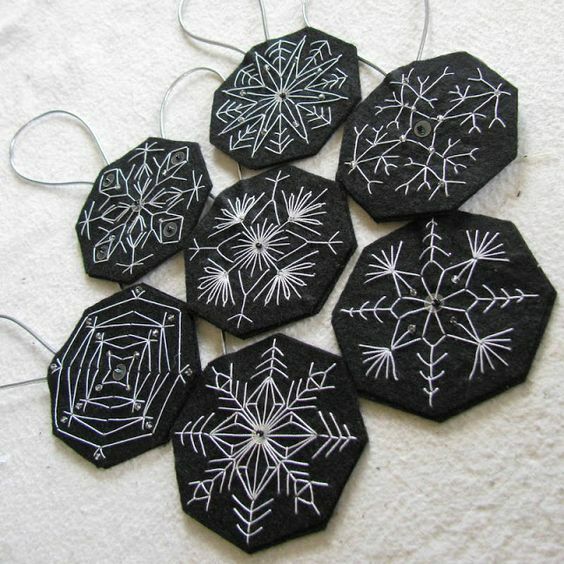 Grab some embroidery floss and stitch up beautiful dated Snowflake Ornament with this free pattern featured on Craft Foxes! Amy from Nana and Company created these pretty felt mittens! 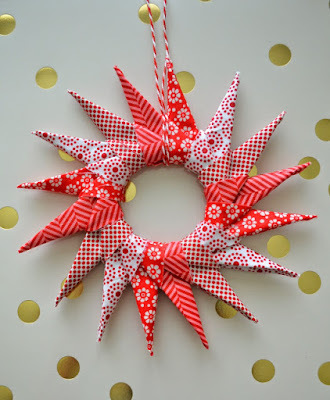 Easy to make for garland or ornaments! Find out how to make these by visiting here! 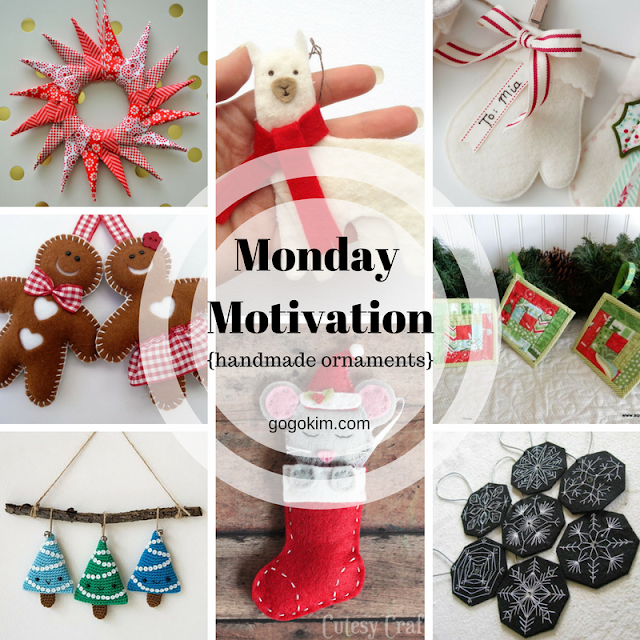 I hope you find inspiration in these patterns and make some creative time for yourself!